‘Move from here to there,’ and it will move; and nothing will be impossible for you. As copy editors of scholarly books written by immensely talented theologians, it’s not always duck soup to stay focused. 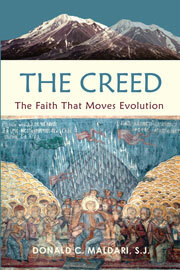 However, The Creed: the Faith That Moves Evolution, the book we celebrate today, published on the Feast of the Ascension of Jesus Christ, May 14, 2015, and authored by Le Moyne College professor Donald C. Maldari, S.J., is quite the exception! Every paragraph is a joyous experience of faith read against a backdrop of the stuff of scientific research. The book is the culmination of many years of research, spurred by what the author perceives as an artificial dissociation between faith and reason encountered over 20 years of undergraduate teaching and conversations with students, theologians, and people who inquire about the relevance of faith in a contemporary world. While the work will be a delight for general readers, it’s written with undergraduate students in mind, making the book unique. 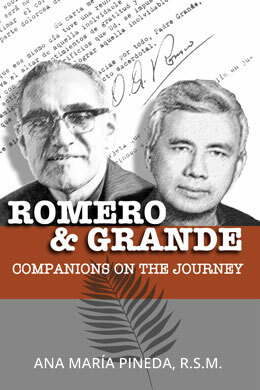 Readers can download a Sample ePub Book or purchase the Softcover on our website. Inquiries to our Textbook Adoption Team are welcome at (772) 932-7969.